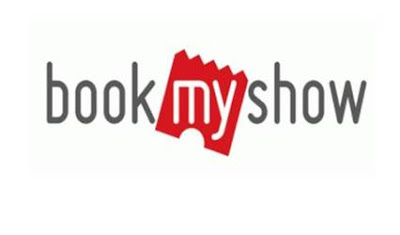 Home / Bookmyshow / Cashback / Cashkaro / Get Gully boy & Uri Movie tickets worth Rs.150 for free! How to get Rs.75 + Upto 50% Cashback on your bookmyshowticket ? 3. Click on “SEE COUPONS WITH CASHBACK” Button. 4. Click on the Coupons you like. 6. Book tickets using Paypal to get 50% cashback upto Rs.150 or Amazon Pay wallet to get 20% Cashback. 7. 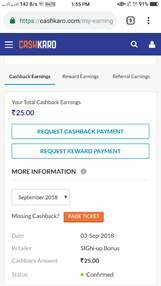 Come back to your CashKaro account and check my earnings section to see Rs.50 credited! Let’s say you book a ticket for Rs.150 – Rs.75 (Upto 50% Paypal offer) – Rs.50 (Cashback on 1sttransaction) – Rs.25 (Sign-up Bonus) = Rs.0 for a ticket worth Rs.150!!! CashKaro.com is India's Largest Cashback & Coupons site. We are backed by Mr. Ratan Tata & one of India's leading VC firms, Kalaari Capital. With over 2 million registered users, CashKaro is a one stop destination for savings across 1500+ ecommerce sites like Amazon.in, Flipkart, Paytm etc. · Cashback will get confirmed within 5 days.